If you have a old t-shirt, but doesnt fit or has a stain under the armpits (LOL), you can turn it into something totally cool and (a big plus) keep you warm. I found a similar tutorial at Threadbanger(.com) but i'm trying to make it my own. 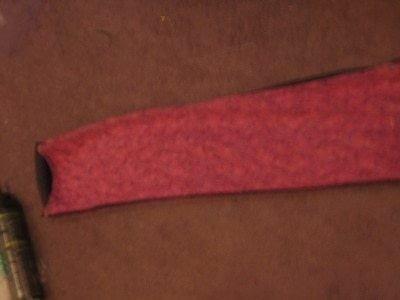 The scarf in the picture tutorial is for my cousin(4 X-mas). (note as you probably(or not) noticed, that is actually pants...they don't fit, but its still cool). then pin on both tees together, as indicated by the blue dots in the pix. Ok, now cut open one side & do the same to the Dif. 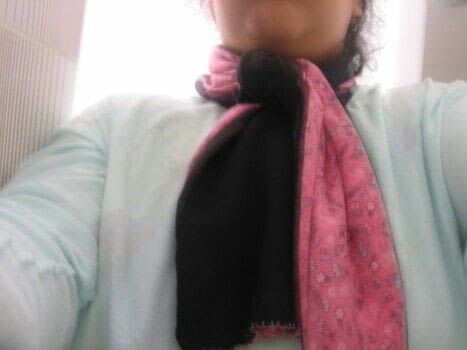 colored shirt and pin together to make it ver long ( as seen in photo). 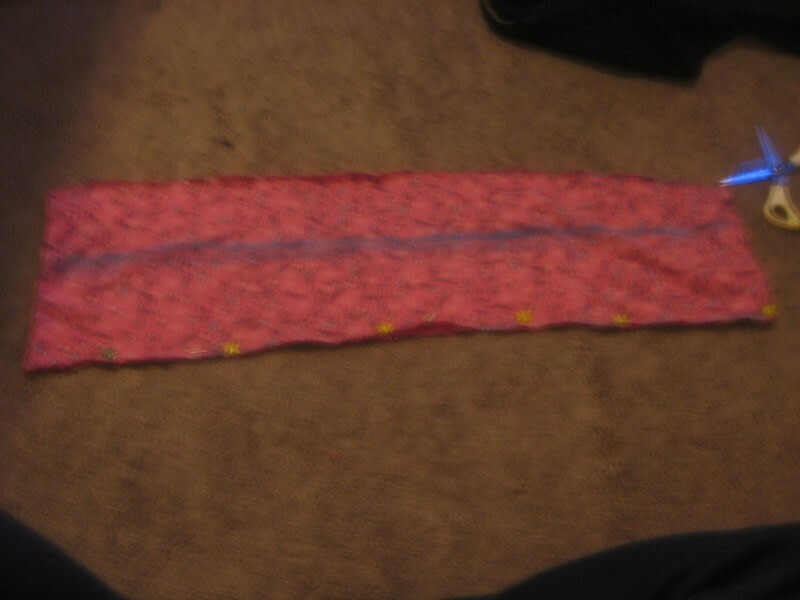 And put (if it has a pattern like mine does) down on the dif. colored fabric. Now(listen...or read...carfully!) 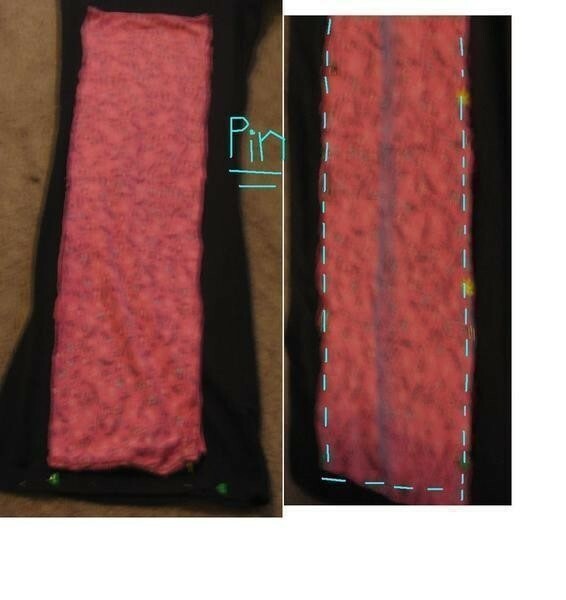 sew on the blue dotted line, but leave the gaps (Where the white arrows are pointing) open to turn it inside out. 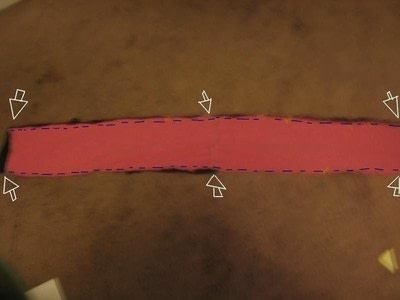 When your done sewing the sides, out your arm(...hand..) through the end hole and put it inside out (if you are using a pattern fabric then it will be pulled out) . 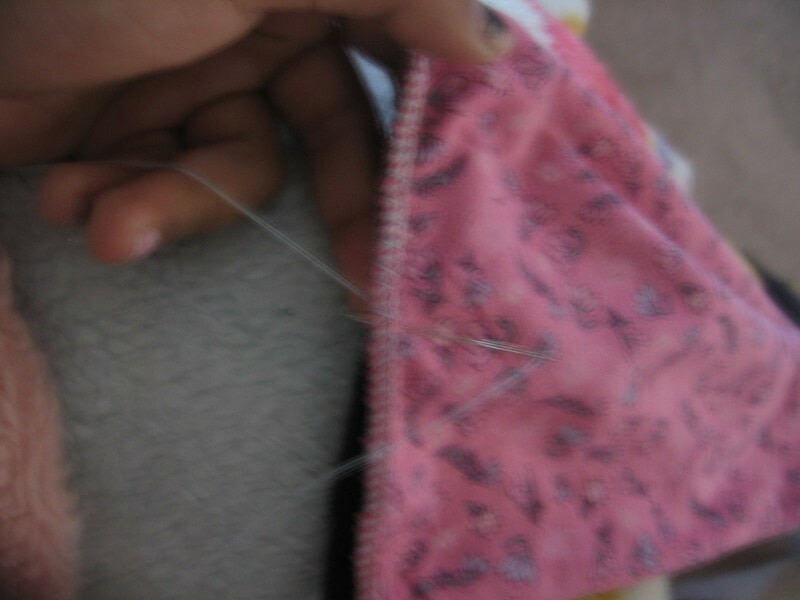 in this step you have to sew the gaps closed. voila! a new scarf to call your own. <3 have fun sewing! I love this!! How long was the scarf when you finished? Did it really take you 3 hours?